Top the potatoes with a single layer of lemon slices. 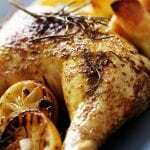 Place the chicken, sage, thyme and remaining lemon slices into a bowl along with the olive oil and toss well to coat. 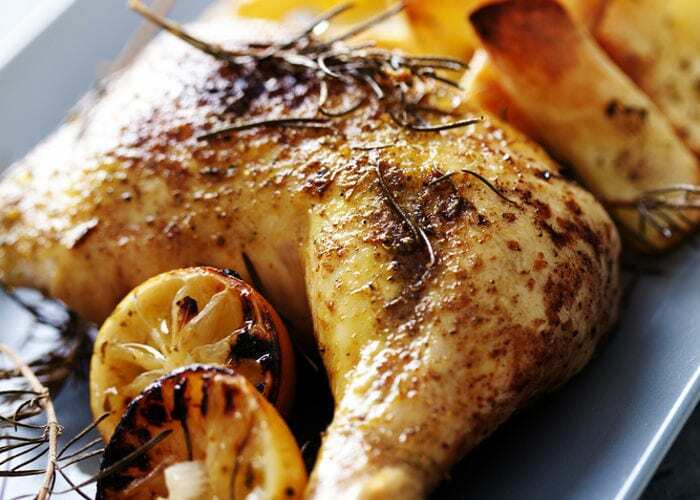 Place the chicken onto the potatoes and lemons, skin side up, scattering the remaining ingredients over the chicken pieces, then season with salt and pepper. Roast in the oven for 1 hour until the chicken is golden and the potatoes are tender and cooked through.